Spring math activities that are fun! 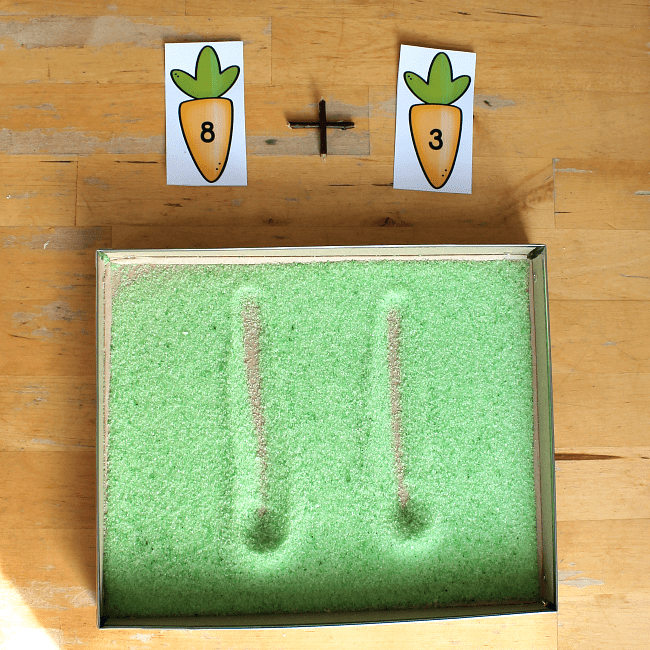 Looking for spring math activities that are fun? Try these ideas that give you a wide range of resources which combine practical, real-life math skills with fun, hands-on games that build math skills through play. Children learn best when they are having fun! That applies to math as much as any subject, and through these Spring Workshop resources I’ll give you a wide range of activities that you can enjoy with your children to build their math skills. 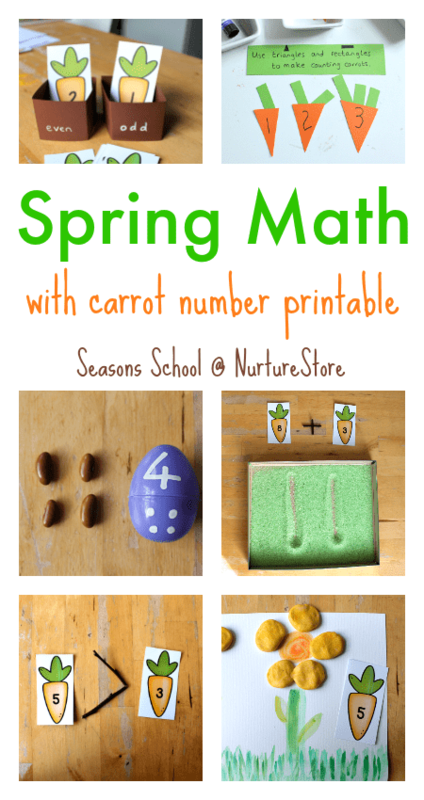 These spring math activities are part of the my complete Seasons School Spring Unit which you can find here. 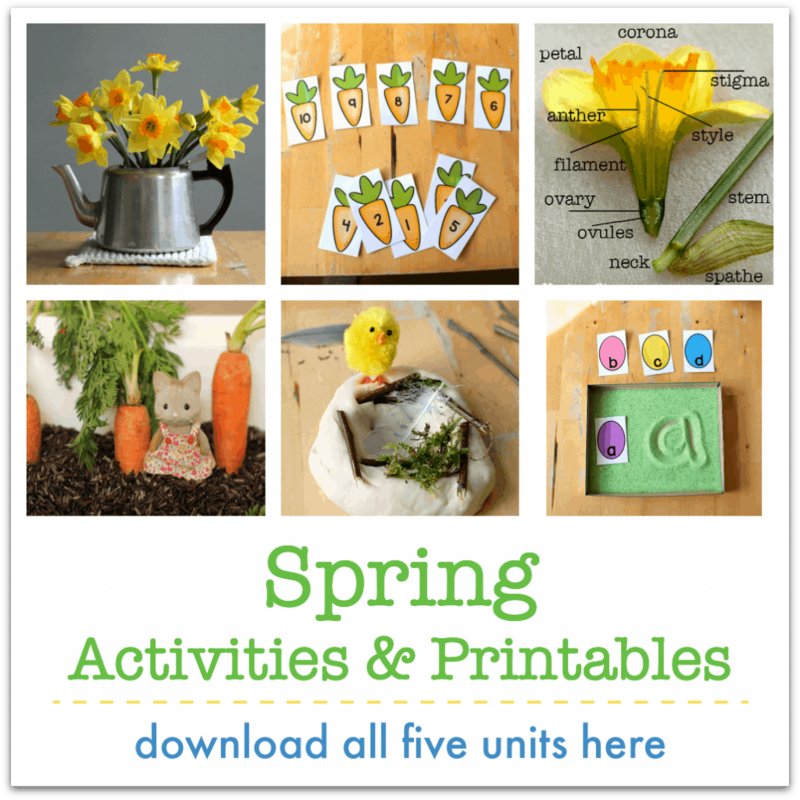 It includes math, science, literacy and arts and crafts, all based around the spring themes of daffodils, eggs and birds, and seeds and shoots. You can download the complete curriculum here. Here are lots of spring-themed math activities that you can use throughout the season. You can adapt them to suit the stage of math that your child is learning at. Very young children may be focused on counting and number sense, then working on addition and subtraction, then multiplying and dividing. There’s no rush, so go with your child. Some families choose not to offer structured math activities, and some families love them, so please feel free to use, adapt, or not use these ideas, to suit your own child. If you do like these kind of activities, you can offer them at different times through the season, so your children can meet, practise and master skills over time. They are playful, hands-on, and appealing to the senses, and can make playing with maths lots of fun. 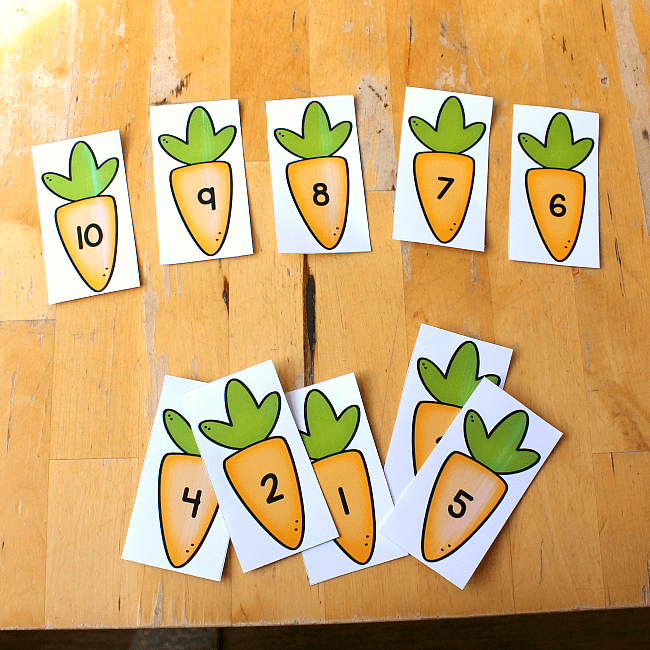 Print your carrot numbers here. 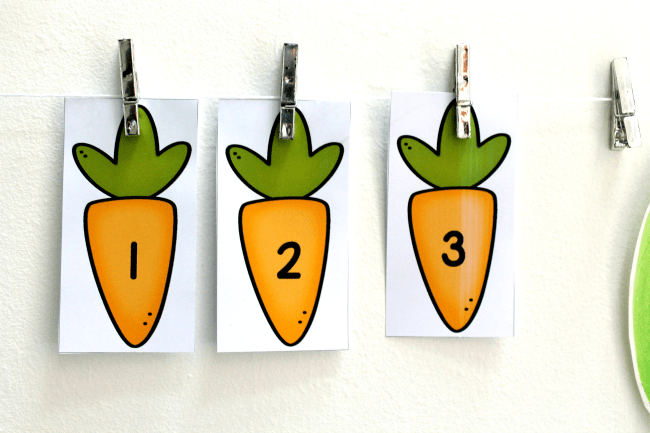 Use your carrot number with these number line ideas. Treasure hunt indoors or outdoors to collect all your numbers, then order them, counting up and counting down. 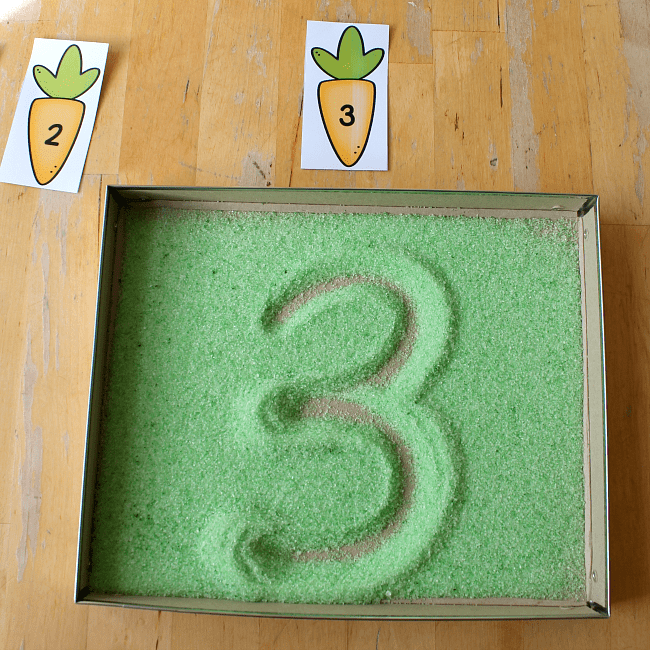 Use your carrot numbers with a sensory writing tray – copy the shape and orientation of each number. Use your sensory writing tray for addition, subtraction, multiplication and division. Write your answers in the tray. 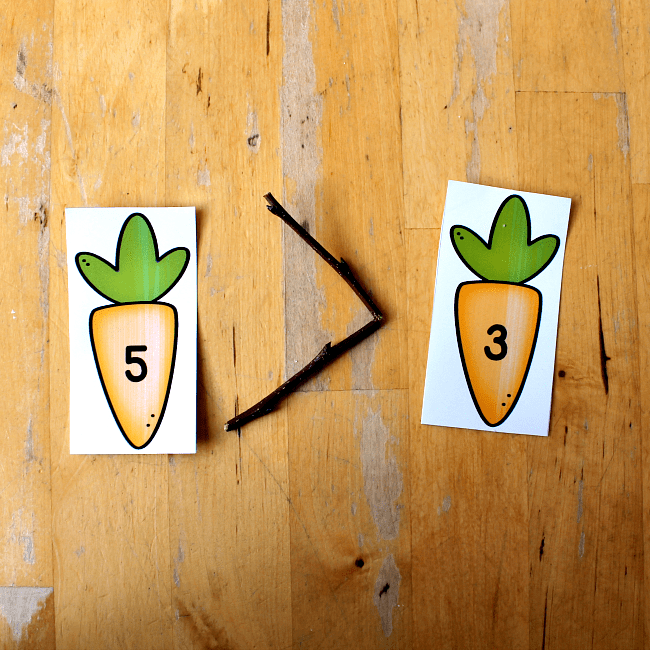 Use your carrot numbers and a bent twig to compare number values – working on place value. 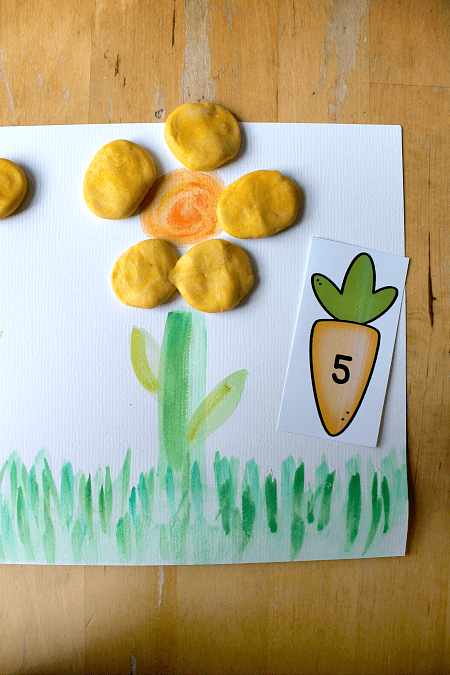 Paint or draw some flower stalks and add the right number of play-dough petals. 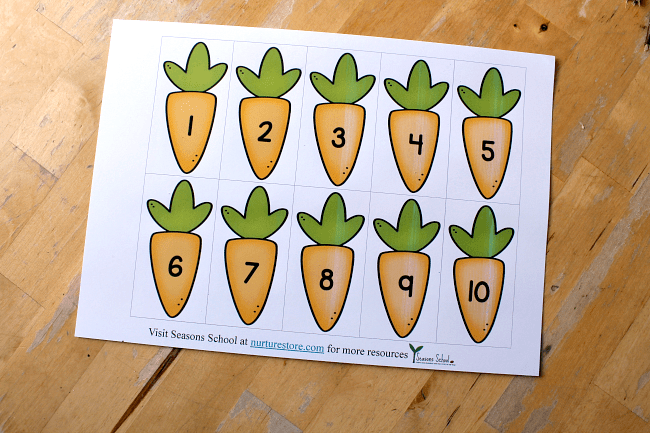 Plant your number carrots in the right veggie patch: odd or even? 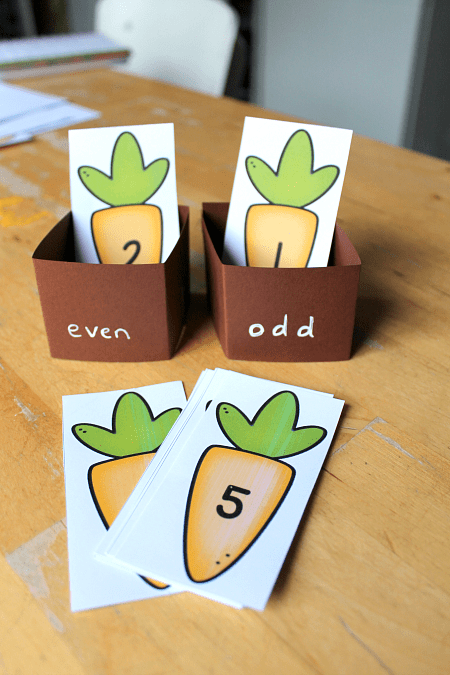 Use Easter baskets to sort your carrot numbers. 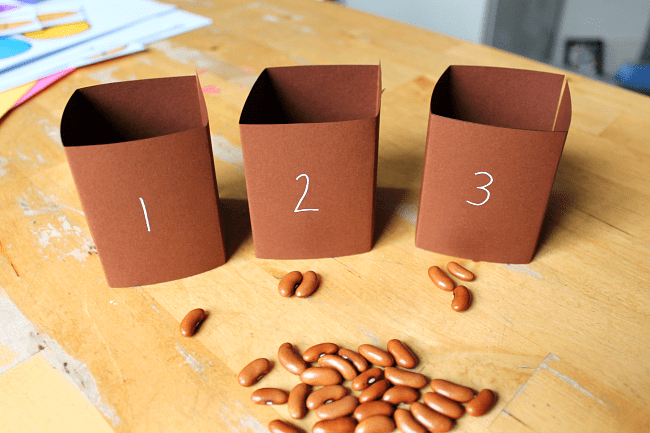 Use large seeds, such as beans, to count. Plant the right number of seeds in each flower pot. 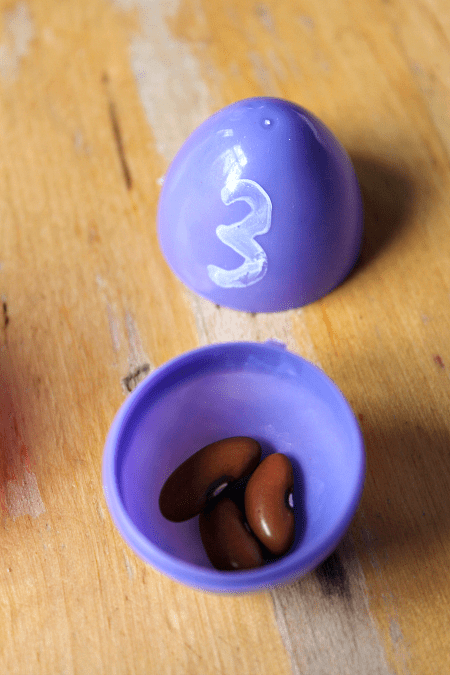 Make a set of number eggs, using a white marker. 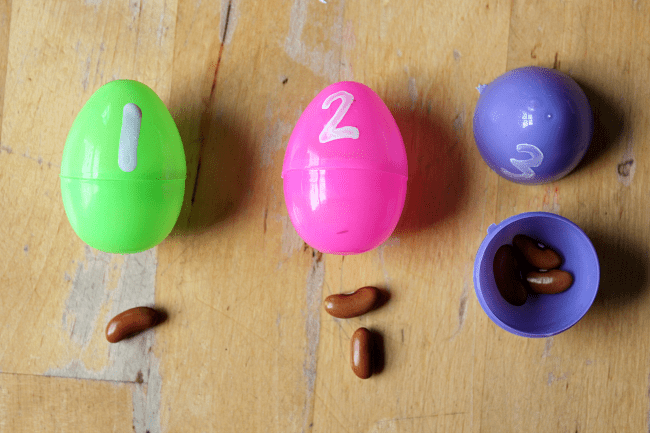 Count out the right number of seeds for each egg. Add up the numbers on two or three eggs. Open them up and count all the seeds. Did you work out the correct total? Use your eggs to work on number bonds/pairs. 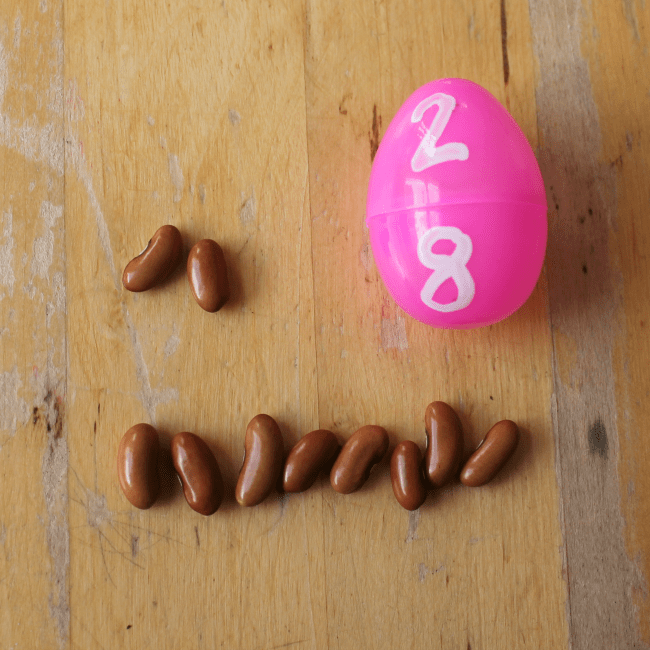 Make a set of eggs with one egg for each number bond to ten: 1 and 9, 2 and 8, 3 and 7, 4 and 6, 5 and 5, 6 and 4, 7 and 3, 8 and 2, 9 and 1. Open up all the eggs, perhaps hiding them in the sandpit, water tray or a sensory tub. 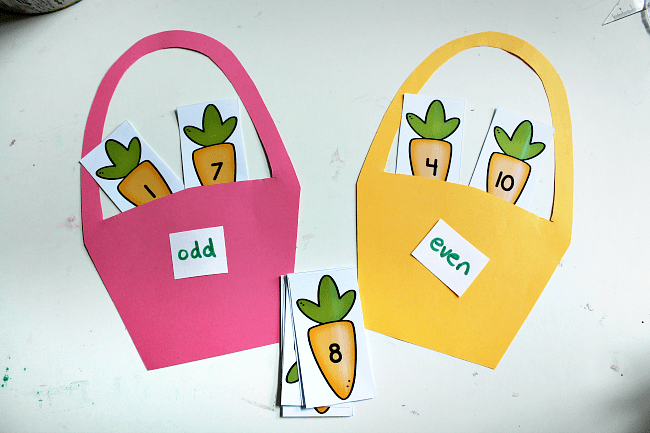 Hunt out all your egg halves and match them together to make lots of tens. You can use seeds to check you’ve got the pairs matched up correctly. Download our complete Spring lesson plans, activities and printables and your spring teaching will be so easy! You're going to love this super useful resource! Previous article: How to spring clean your classroom and welcome the new seasonNext article: Spring literacy activities that are fun!